JD Miscellaneous - Forage Harvester: 5200, 5400, 5420, 5440, 5460, 5720, 5730, 5820, 5830, Sprayer: 6100, 6500, 6600, 6700, Windrower: 2320, 2420, 3430, 3830. JD Combines - 105, 3300, 4400, 55, 6600, 6602, 6620, 7700, 7720, 8820, 95. A genuine John Deere #GX21137 Bushing. 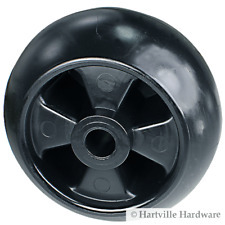 Genuine John Deere M114002 4" Mower Deck Roller. 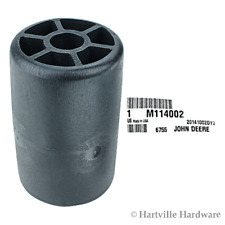 A genuine John Deere #M114002 Mower Deck Roller. You may also be interested in. A genuine John Deere #M84911 Lens. Genuine John Deere OEM Lens #M84911. Overall Length 25.250" Hole Diameter 1.500" Width 4.000" Thickness .500" Center Of Hole To End Length 22.625" Offset Height 2.500" Type CW Lift Type. 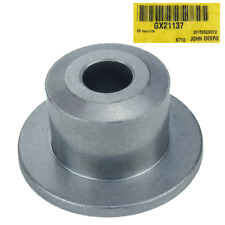 A genuine John Deere #GX21381 Blade Drive Pulley. 1080, 1085, 1100, 1105, 1130, 1135, 1150, 1155, 135, 1500, 1505, 165, 175 U.K., 178 U.K., 180, 1800, 1805, 220, 2200, 245, 255, 265, 275, 285, 30, 30D, 3165, 40B, 50C, 50D For Skidder Models: 320 Part Numbers 509682M91, 273541M91. Product Specifications Part Number: FS19764. AUTOCAR TRUCKS XPEDITOR 2010 - 2016 L6 11.9L 726 CID Cummins CUMMINS TRUCK ENGINES ISX11.9 (11.9L). CUMMINS TRUCK ENGINES ISX15 (450) (15.0L). CUMMINS (Also See Consolidated Engines) ISX11.9 (11.9L). OUTER AIR FILTER FOR Ford new holland. Kumar Bros USA. is in no way affiliated with any OEM manufacturers. All OEM part numbers and logos are used for identification purposes only. 100% Money Back. New, unused AM121159 double drive sprocket jackshaft for John Deere models TRX27, TRX32, TRS27 and TRS32 Snowthrower / snowblower. No longer available from Deere. A genuine John Deere #AM107998 Carburetor Gasket Repair Kit. Max 25 XL HST. Max XL Series. Max XL Series Max 26XLT Gear. Max XL Series Max 26XLT HST. 1600 Series 1640 HST OS. 1600 Series 1640 Gear. 1600 Series 1626 Gear. 1600 Series 1626 HST. A genuine John Deere #AM121970 Idler Pulley. OEM: 40011. Secondary Resistance: 10.60K ohms. Coil Style: Canister. Coil Internal Construction: Oil-filled. Coil Color: Black. Coil Wire Included: No. Coil Shape: Round. Primary Resistance: 1.500 ohms. 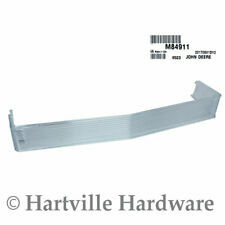 Replaces Case Part Number G13801. Fits Case Models: 530, 580CK, 580B, 580C, 580D, 580SD, 580E, 580E, 580SE, 580K. We are on two locating systems that run all over the U.S.A., and Canada. Massey Ferguson Parts. 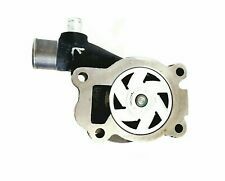 For your warranty to be valid, proof of replacing condenser, accumulator/drier, expansion valve and flushing the system are REQUIRED. Fuel Tap and Screen Assembly contains shutoff valve and filter screen. A genuine John Deere #GY20074 Ignition Switch. This 4 position switch is for 100, G100, L100, and LA100 Series for lawn tractors. Switch only. Does not include key.